DHL EMS express fast free shipping.Pls click the picture to get it. All cape sets are in stock.we support mix order. you can choose any cape sets you like. 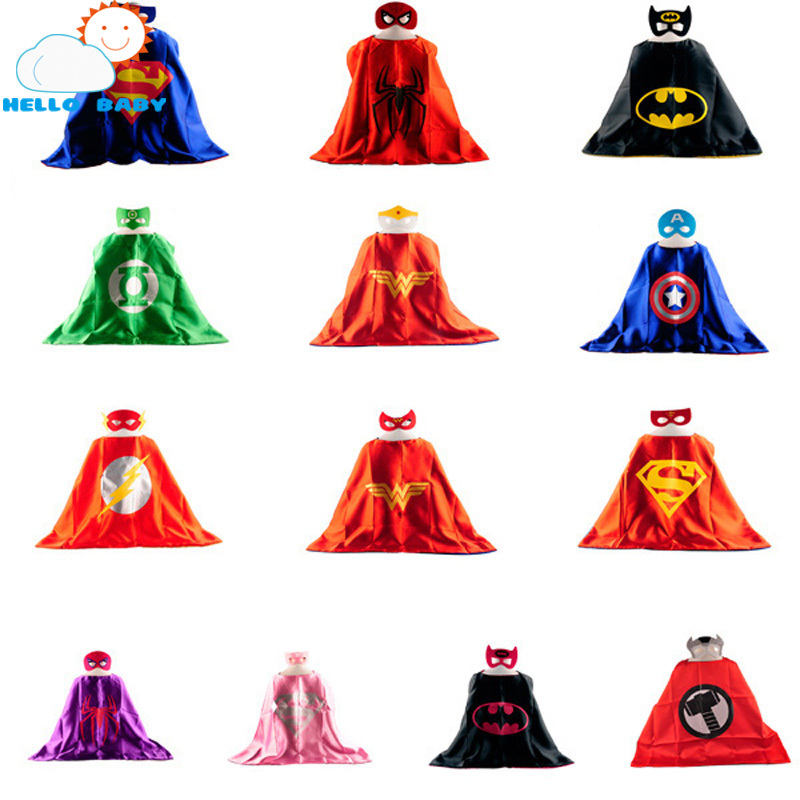 Capes size:about 65cm*68cm suitable for children between 3-10 years old Package:1cape+1mask If you want other hero capes.pls contact us. We will shipping 25 sets capes epacket for fast free shipping to following countries. mostly,it will only takes 7-11 days to the destination after send out. 1.transport timeliness is only for reference.not for promise. 3.the payment is only for the order.different country different tax policy.may be you will charge tax fee.pls consulting the staff of local customs before purchase. 4.we need 1-3 wokring days to prepare goods. We’re a professional supplier of baby products , registered both in Hong Kong and ShenZhen. we have own factory.we sell quality valued baby products.we provide worldwide wholesale and drop ship service to our customer in the world since 2005. looking forward for our cooperation.